Pink is everywhere right now, THE colour of spring & summer. Bubblegum, raspberry, hot or soft pink there is a shade to suit everyone. Not a colour I usually choose, but I can't get enough of at the moment. The right shade is surprisingly flattering, and lets be honest we can all do with a lift in January. I will style pink with ripped denim and white trainers or heels, add a touch of leopard print and a grey scarf I'm good to go. Will you be wearing pink this season? A great lightweight knit that you can layer now and wear with denim shorts when the weather warms up. 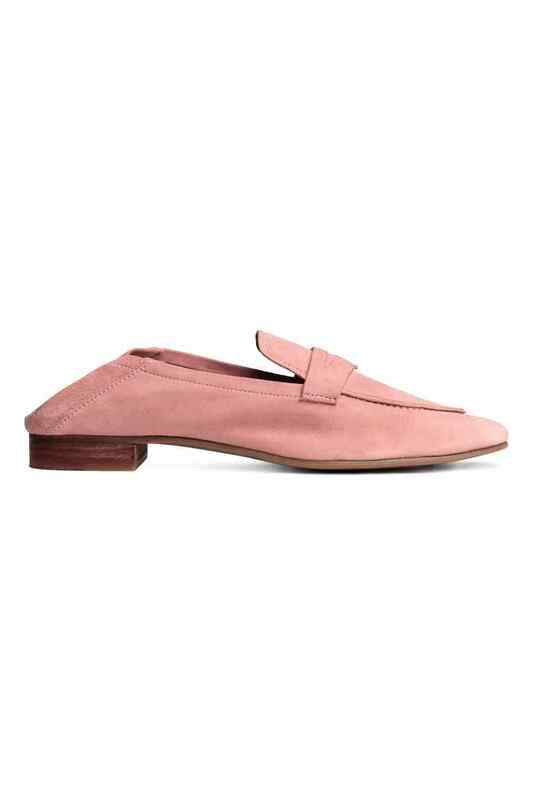 These loafers are gorgeous and I think I might order them, they'll look great with everything. I have this jumper and I love it, especially the sleeves. Some more of the pinks I'm loving this season.